Unfortunately at present we don’t allow under 17’s to train with us. You must be over 17 to join the RVR. To join the RVR club costs a further £6.00 a month payable preferably by bank transfer as this make it easier for the club treasurer to keep tabs on payments. This money goes to provide training night contributions, insurance cover, club AAW affiliation, the remainder goes towards the day to day running of the club, e.g. subsidising club kit, changing facilities. Come along and give us a try for a few weeks, then if you want to join - totally up to you, you are under no obligation. Next session starting 18th February 2019 @ 18:00. Come along to the welcome meeting on 13th February 2019 @ Ystrad Rugby Club! You don’t need experience just an enthusiasm to learn. 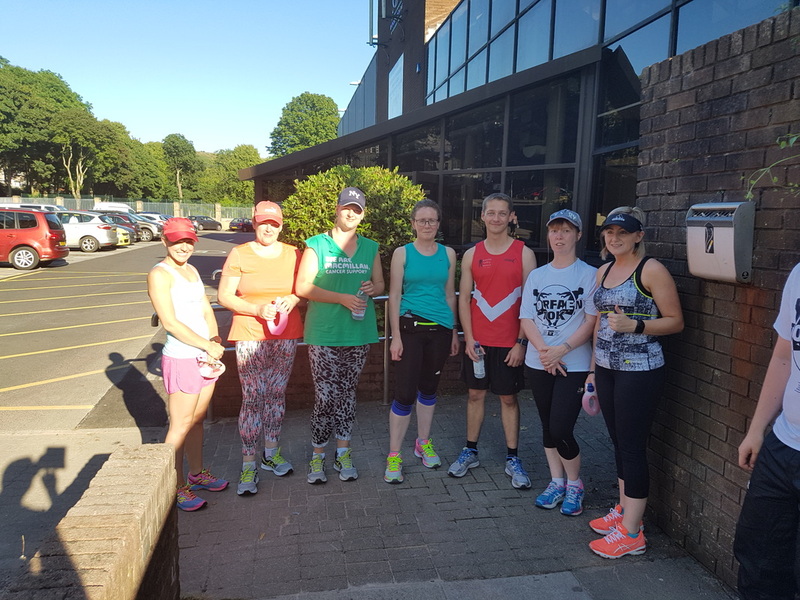 RVR Beginners group is for people aged 17 years and over who are looking to get into running, coming back from injury or have just started out on their own. The group is organised by our Beginners Coordinators assisted by other RVR Members who are able to give up their free time to help out. We usually run Beginners programmes a couple of times a year with the aim of progressing to main Club after the 10 week programme. Each beginners programme consists of a number of sessions including a warm-up, movement skills, a run/walk or run and cool down with stretches. After completing the programme(s), all we ask is that you then become a member of our main club and pay monthly cons of £6, which includes your membership fee. Each member is required to purchase a club vest and be affiliated to the Athletics Association of Wales, which is renewable every April at a cost of £17.50. There will always be experienced runners with each group, therefore nobody will get left behind. See our RVR Beginners Facebook page (and beginners form/leaflet below) for more details and news of future sessions!